NEW ITEM!! 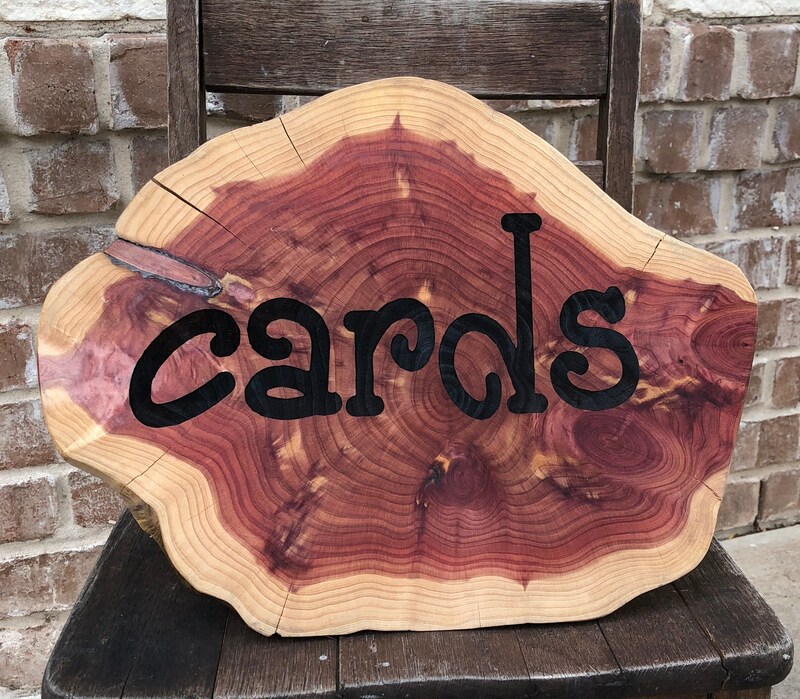 A freestanding laser engraved cedar wood slice sign featuring "cards". Finished with polyurethane, that makes it "pop". Diameter of wood slice: approximately 11" to 14"
Shipping by FedEx Ground. Transit is usually 3-5 days. This (these) is/are a completely natural wood product. You will likely find some saw dust residue or sap on them and the bark will flake and/or peel off in some cases. The surface may also lightly crack as it continues to age. It also smells like cedar. Some very brave bugs may also make their way to you, although this has never been reported to me. 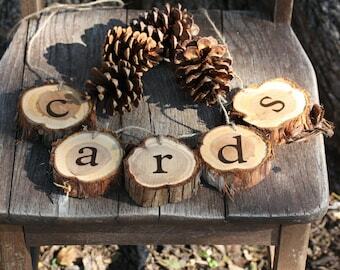 We are literally cutting these from our woods and shipping them to you! None of this is considered damage and this will not affect their intended purpose. It’s just a natural characteristic of a fresh cut wood product. Some listings offer the option of finishing the wood; this only delays the process and does not prevent it entirely. If you have any questions about this, please convo me prior to your purchase. Thank you.